Do you love inventing things? Fancy yourself as the next Thomas Edison but not sure where to begin? With littleBits, you don’t have to be an engineering expert to make cool and fun electronic gadgets. You don’t even have to know the basics. In fact, all you need to get you started is a bit of time and some imagination! LittleBits are small, open-sourced modular electronic components that snap together to form larger circuits. The company was founded in 2011 by interactive artist and engineer Ayah Bdeir who wanted to make electronics accessible to everyone, regardless of their age, gender, ethnicity or technical ability. Each littleBits module is colour coded depending on what category they fall into: power, input, wire, and output. The modular components are also labelled with a single function, and as you snap them together with their magnetic links, you start to create more complex circuits. If you make a mistake, don’t worry. Just unhook the magnets that connect the modules together and start again! LittleBits give you the ability to control everything from sound to actual moving motors and it’s all powered by a power supply or a 9V battery. 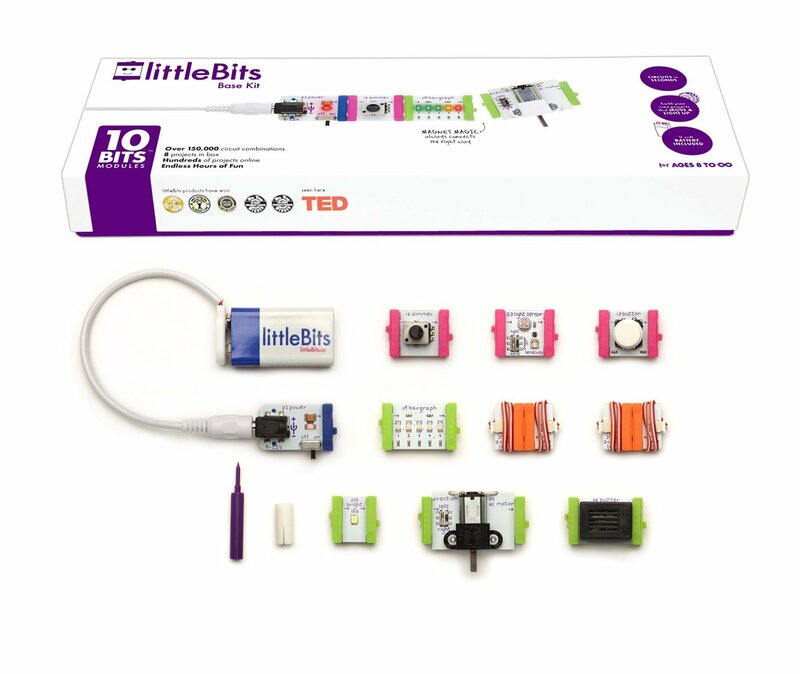 LittleBits are sold in kits with prices ranging from £99(€125) for the base kit to £199(€252) for the deluxe kit. There’s also specialised kits available for those interested in music or space, or you can buy most of the parts separately for under £20(€25). The company have also released bundles that allow you to integrate internet applications and Arduino programs with littleBits. LittleBits are suitable for everyone over the ages of 8, perfect for any young budding engineers! With over 60 modules available that can be used to create millions of combinations, the possibilities are endless! 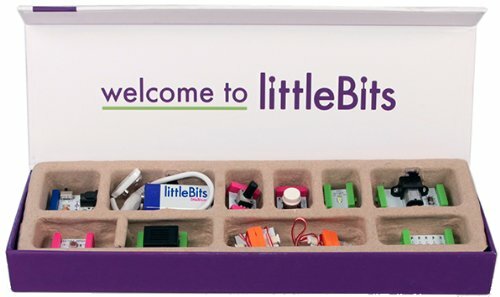 LittleBits are in stock now, you can view our range here. Happy shopping!